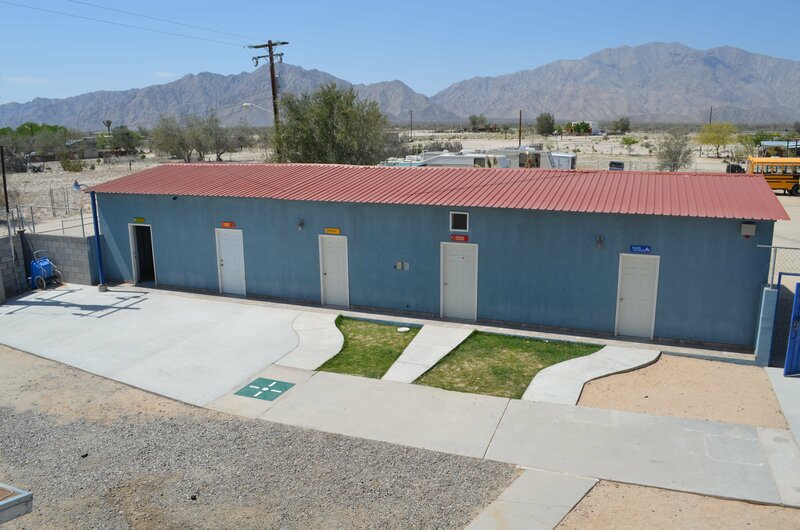 March has been quite a busy month for us at Sonshine Hacienda! 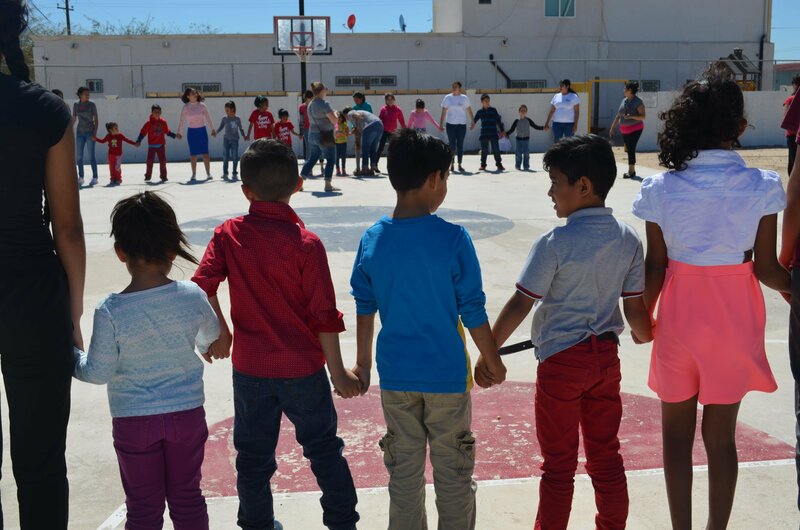 In order to update our certification as a Casa Hogar, we have to meet several requirements. We completed the updates begun last month to make our first-floor wheelchair accessible. In addition, a week was spent updating and weatherproofing our electrical system. 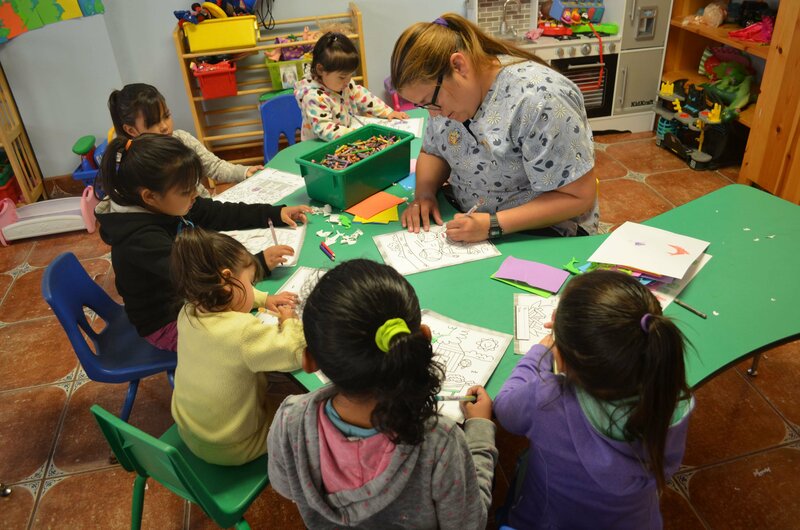 Several of our staff members have made trips to Mexicali for day and week-long classes, ranging from administrative instruction to health and sanitation in the kitchen. We’ve added new signage and installed security guards on all of our windows. We have passed all of our inspections so far, and have just one more inspection to pass before our certification is complete! 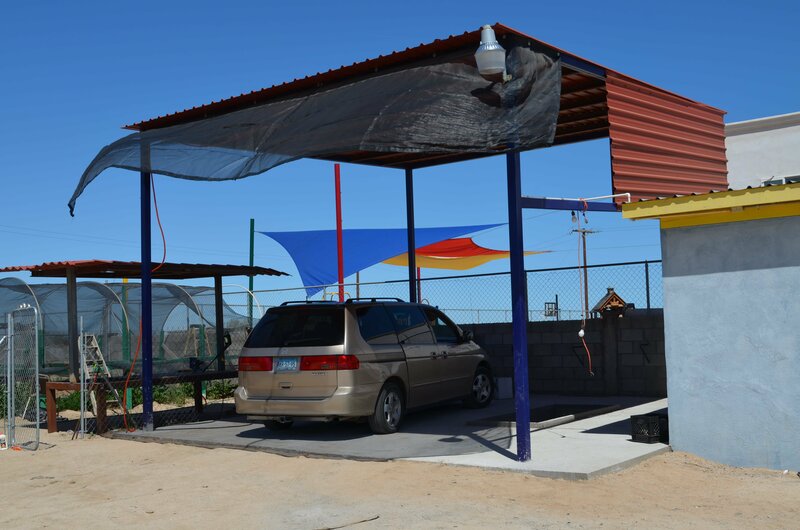 Another major project that was completed this month was the finishing of our “automotive station.” We now have a fully functional car pit to use for oil changes and other automotive work. We have water and electric access so we can wash and detail cars. Generous donors also provided us with several sewing machines last year. Imelda, one of our administrators, is a highly trained seamstress. Between the automotive station and the sewing machines, we look forward to keeping our kids’ hands and minds busy this summer while teaching them a trade! The month also brought us many visitors: our “padrinos” (godparents) who hosted a barbeque and afternoon of fun for us, a group of families from the local Mormon church, a group of young people originally from the Ukraine, and several couples from the United States who were in town visiting. March also ushered in Springtime, caterpillars, and seasonal festivals, including the Blues & Arts Festival at El Dorado Ranch and the Baja 250. Our kids also had spring festivals at their schools, where they were cowboys and cowgirls, ducklings, and even a queen. In another week we’ll be hosting groups who are on their own spring breaks. There’s always something to keep us busy! Definitely one of the major highlights of our March was a visit from the San Felipe Quilters Guild. These women and men have been busy for months preparing gifts for their visit on March 18, when they brought their labors of love to Sonshine. 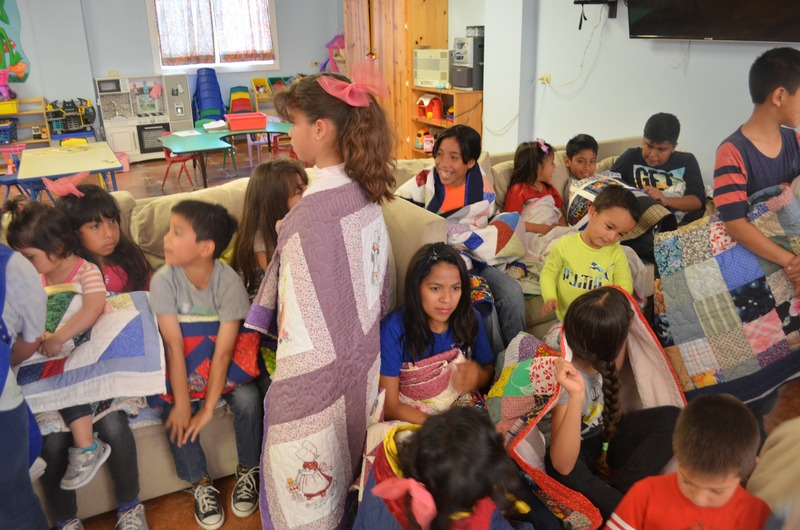 Rather than present the handmade quilts to the children, group members decided it would be extra special if they allowed the children to choose their own quilt. One by one we called the children forward, they shared their names and ages, and then we watched as they looked each quilt over before locating one they could call their own. Hello Kitty, dinosaurs, teddy bears, beautiful patterns… the time and love put into these quilts was obvious. The kids all wrapped up in their quilts for photos and then ran off because they couldn’t wait to make their beds. It’s not often we can say that! In the fall, thanks to a very generous church, several hands came together to construct a chicken coop for us. Only it is far too grand to be considered a coop – perhaps “condominium” would be a more appropriate term! 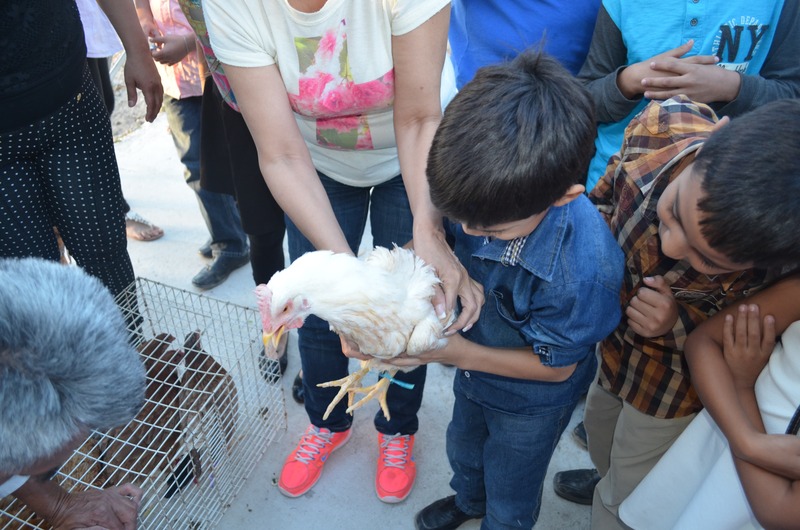 In November, while bringing new school uniforms to the children, our “padrinos” also brought each of the children their own chicken. Our chicken condo was now full with 22 “gallinas.” As is often the case, it took several months before the hens started laying eggs. We considered putting more chicken on the menu, but just in time the hens got to work. It takes about 40 eggs to make breakfast for our kids, and we're currently getting 20 eggs a day. So we haven’t had to buy eggs all month! Between the chickens and the growing garden, our grocery bill is thanking us. Our needs list is constantly changing! “Staples” that we go through every week include: toilet paper, laundry and dish soap, napkins, baby wipes, chicken food, hair gel, etc. We can always use donations of these items! for our latest needs list, and know that every gift is used responsibly and appreciated greatly!